Imagine charging into the action of the rugby field from the comfort of your home, through the power of a device. This is all part of the training process for the Wallabies, proving that there’s a lot more that goes into rugby than what you see on the field. In between rigorous physical training and strategy sessions, the team has been taking advantage of innovative VR technology to better understand the game and how they can improve. We spoke to Michael Cheika, Head Coach of the Wallabies, to learn more about how technology is improving their game. Game review has long been an important part of coaching rugby players, but Cheika explains that the process has historically been an individual experience. That’s why Vodafone has teamed up with the Wallabies through our sponsorship of Super Rugby to provide an innovative solution, using Samsung Gear VR headsets. VR tech allows the team to take on a different approach, working together instead to develop new strategies using this training tool. 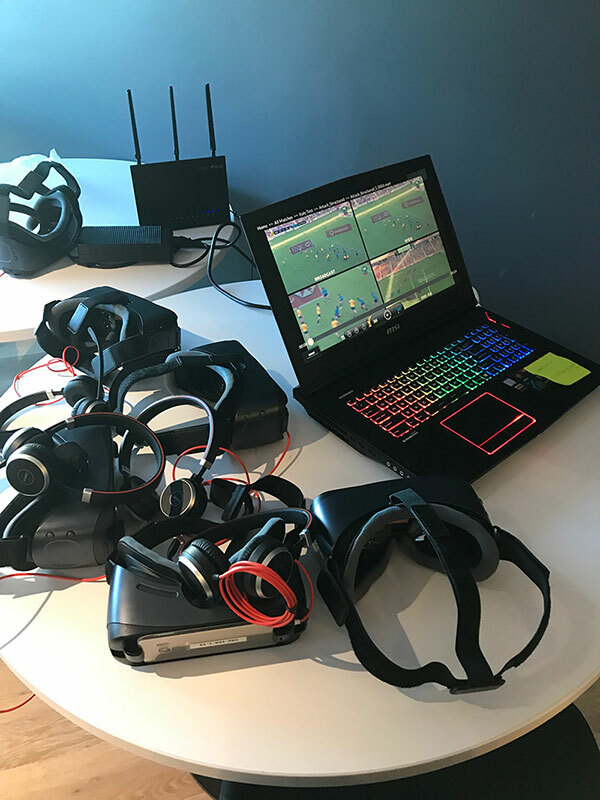 “We engaged with StartVR and Vodafone to build a more-collaborative game review tool which would allow players to assemble in groups and fully immerse themselves in the action using Samsung Gear VR headsets,” Cheika says. This means the players can replay a scene and view it from all angles, reading the game and analysing how each player can improve their positioning. The technology enables a more interactive game review process, and Cheika says the players have embraced this innovation. But the tech doesn’t stop there – it’s started making its way into all parts of the game over the past couple of years. Some IoT devices have been useful for recording game data (like location on pitch and player tackles), while others help monitor fitness during training. Cheika explains that The Wallabies use tech to get a full picture of each individual player’s health and any improvements that can be made. 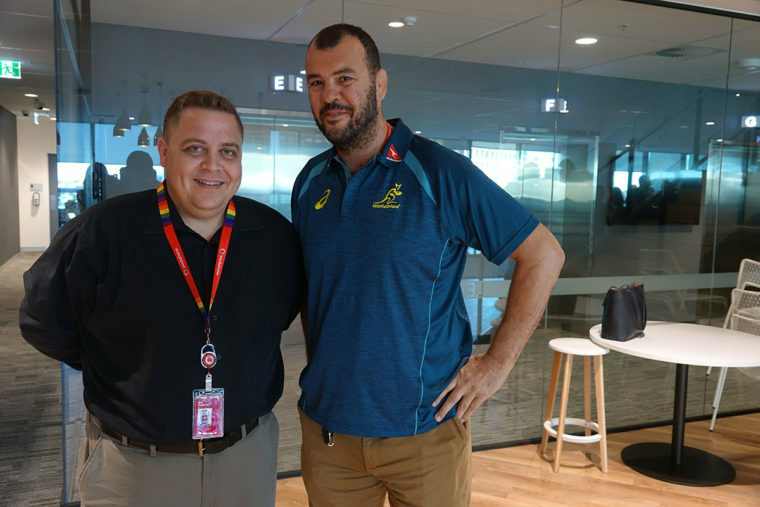 “We use quite a lot of wearable devices during training and test matches including heart rate monitors, GPS devices to measure distances run, accelerations and impacts, and microphones for capturing player audio,” Cheika says. 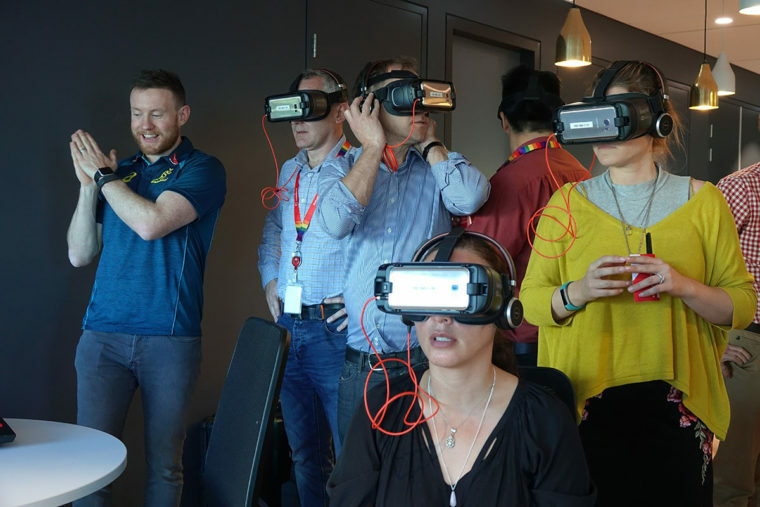 Vodafone HQ gets a demonstration of how The Wallabies use Samsung Gear VR headsets. Besides using tech, the Wallabies have also been prepping the good old-fashioned way for the Bledisloe Cup, Rugby Championship Tests and their End Of Year Tour – completing training camps in Newcastle, Cessnock and locally in the players’ home states over the past couple of months. The Wallabies are charging into a tech-powered future and embracing the evolution of sport with the development of new training techniques. So as new tools are constantly becoming available and implemented, the real question is… what’s next for the future of rugby?